Windings – 100% copper windings for maximum conductivity. Alternator – revolving field design reduces the size and weight of the generator. Brushless Excitation – eliminates brushes and slip rings for reduced maintenance costs and service time. Lifting Bale – standard and incorporates and folds down when not in use. Idle Control – reduces the engine RPM when not under load for improved fuel economy and prolongs the life of your generator. Full Power Switch – allows you to select either full rated 120 volt power or shared power from 120 and 240 volt receptacles. Voltmeter – indicates the correct voltage output and provides a measure of insurance against damaging your power tools. Instrument Panel – designed with rugged steel construction for long life. Circuit Breakers and GFI’s – protect the tool and the operator. There are many quality portable generators on the market today produced by well known manufacturers. 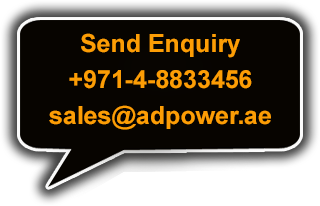 Adpower generators offers advanced specifications, a full set of standard features and a broad range of functions at an attractive price. The chart below provides you with a quick, easy way to estimate the right generator for your home.